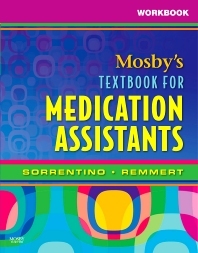 Reinforce your understanding and review essential concepts and procedures in this chapter-by-chapter companion to Mosby’s Textbook for Medication Assistants. A wide variety of exercises and activities help you evaluate your strengths and weaknesses and ensure success in medication administration. Chapter-by-chapter lessons review textbook content to enhance your understanding. Exercises in each chapter help you practice what you’ve learned. Checklists for each procedure provide valuable self-evaluation.